In order to file a Petition for your spouse, you must file the required forms with the U.S. Citizenship and Immigration Services (USCIS), along with the required documents to support your Petition. Please note that the Petitioner (individual filing the Petition) must maintain domicile (principal residency) in the United States. If the individual wishes to file a Petition for their spouse and their children (also known as the Beneficiaries), separate filing forms must be completed for each family member. **For children born abroad, where the parent(s) is a U.S. Citizen, there may be an option to request a U.S. Passport and/or U.S. Citizenship for the child born abroad. Along with the required documentation, the individual must provide the correct Filing Fee for the particular filing form. Unlike the above-mentioned F-1 to F-4 Visa categories, the Visa for the spouse of a U.S. Citizen is immediately available. Upon review of the submitted documents and approval, the Petition will be forwarded to the National Visa Center (NVC), where the required documents requested by NVC will be submitted to for review. If NVC requires further documentation, a Request for Evidence (RFE) will be issued, and the individual will need to submit the requested documents in a timely manner. Thereafter, an interview will be scheduled to the Beneficiary. Once the Beneficiary has attended the Interview, the Immigration Officer will issue a Decision. The Beneficiary will be told of an approval, denial, additional documents may be requested, or they may be placed in Administrative Processing for further security checks. A qualifying fiancé(e) (also known as the Beneficiary) is someone engaged to a U.S. Citizen. This particular visa allows the fiancé(e) to enter the United States for a period of time (90-days) with the intent of executing their marriage within said timeframe provided for the stay. In order to file a Petition for your fiancé(e), the required filing form must be submitted with the required supporting documents to the U.S. Citizenship and Immigration Services (USCIS), along with the required filing fee. Upon review of the submitted documents and approval, the Petition will be forwarded to the National Visa Center (NVC), in which the Petitioner will be required to submit documents for NVC to review. If NVC requires further documentation, a Request for Evidence (RFE) will be issued, at which point the Petitioner will need to submit the requested documents in a timely manner. Upon review of the documents, NVC will issue an Interview for the Beneficiary to attend. Upon attendance, the Immigration Officer will determine a Decision. The Beneficiary will be told of an approval, denial, additional documents may be requested, or they may be placed in Administrative Processing for further security checks. 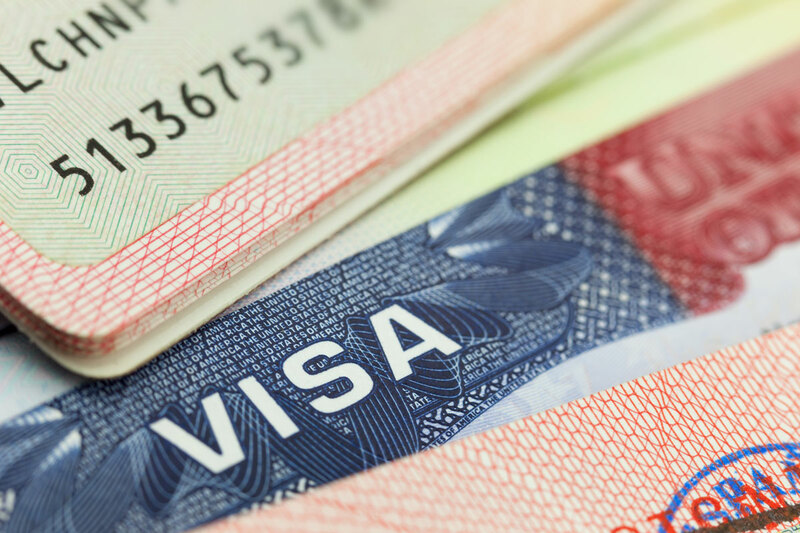 This visa category qualifies for a Permanent Resident or Conditional Resident (CR) who has resided outside of the United States for more than one year or longer than their validity period of the permit to re-enter the United States for reasoning/circumstances that are out of their control. In order to qualify for a Returning Resident Status, the individual will need to provide evidence that the individual had permanent residency at the time of departure from the United States with the intention to return to the United States at the end of the trip, along with proof of the reasoning for the individual’s stay outside of the United States. The evidence for the reasoning must show that the reasoning behind the longer stay was out of the individual’s control. To submit a Petition for the Returning Resident Status, the individual must submit the required forms along with the required supporting documents and filing fees. Once the required and supporting documents are submitted, the Consular Officer will review the documents and determine if the individual qualifies for the Return Resident Status. If the Consular Officer determines that the individual qualifies for the Return Resident Status, the individual pays the filing fees. Along with the filing fees, the individual must submit the required applications and documents for further review. If the Petition is denied, then the individual must seek Immigrant Status to the United States in the similar way it was originally obtained. **Prior to applying for an Exchange Visitor visa, the individual must be accepted into an exchange program. Once accepted into the exchange program, the individual will be enrolled in the Student and Exchange Visitor Information System (SEVIS). With the enrollment of SEVIS, the required fee must be processed. To apply for the Exchange Visitor Visa, the required forms and fees must be processed. Once the required forms and fees are submitted and processed, the individual will be able to schedule an interview with the Consulate and Embassy. Once the interview appointment is confirmed, the individual must provide the required supporting documents at the time of the Interview. Upon attendance of the interview, the Officer may request further documentation and/or determine a decision of approval, denial, or if administrative processing is necessary. Family based immigration provides permanent residency to immediate family of a United States Citizen or Lawful Permanent Resident (LPR). The Petitioner must maintain domicile (residence) in the United States. A Petition for an Alien Relative can be filed either within the United States or overseas in the home country of the relative. **In cases of Polygamy, only the first spouse qualifies for permanent residency. In order to begin a Petition for the relative, the individual will need to file the required filing form, supporting documents, and required filing fee to the United States Citizenship and Immigration Services (USCIS). USCIS will then review the submitted documents and provide a decision. If the Petition is approved, the Petition will then be forwarded to the National Visa Center (NVC), where required documents will need to be submitted for review. If NVC requires further documentation, a Request for Evidence (RFE) will be issued, in which the individual must provide NVC with the requested documents in a timely manner. Upon completion of the review process, NVC will issue an interview appointment with the respective Embassy, in which the relative will need to attend and provide the required information and documents, from which the officer will advise of a decision on the Immigration Status. **Note: If placed on Administrative Processing, thorough review will be constructed in order to further process the Petition and provide a decision. There is no set amount of time to complete this process. Employment based immigration provides legal permanent residency to foreign nationals who are skilled workers and/or professionals, have extraordinary abilities, and/or hold advanced degrees in their particular profession. There are three (3) preferences to this category, each with their own requirements and process. The Employer must verify if the employee qualifies for lawful permanent resident. Upon the verification, the Employer must submit the required documents to Department of Labor confirming that no other employee in the US are able or willing to accomplish the job position that the foreign employee will fill. When the form is approved, the Employer must submit the required documentation to the United States Citizenship and Immigration Services (USCIS) for review and once the review is complete, the foreign employee can begin the consular processing if he/she is overseas.